TV Club Power Rankings are The A.V. Club’s way of demystifying television ratings—while also claiming some of the authority of those ratings for ourselves. The power rankings formula pulls the numbers from TV’s most-trusted ratings source, Nielsen, and combines them with our own community and editorial metrics. It’s not a method of predicting what TV shows will be canceled or renewed, but it does demonstrate the series that have staying power in the eyes of The A.V. Club and its readers. Here’s the nice thing about being the show airing after the most-watched television event of the year: Your ratings are certain to receive a healthy booster shot, as evidenced by the way Elementary picked up the ball after the Baltimore Ravens’ big win and ran it into the end zone for a 7.8 touchdown among adults under 50. 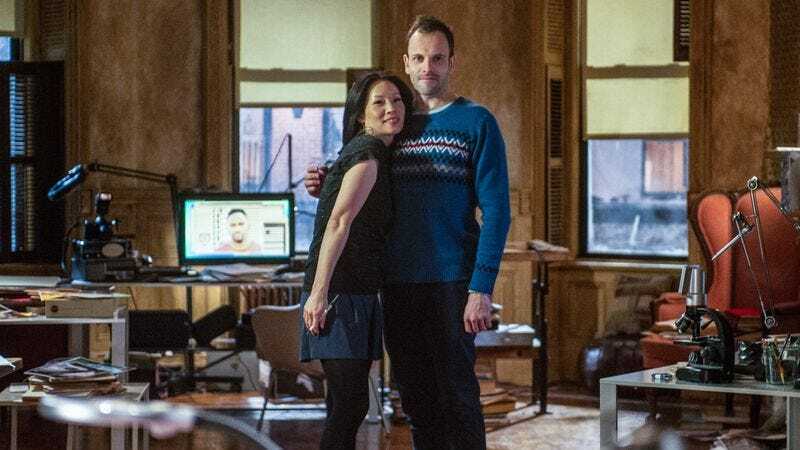 So Elementary just barely outdrew some of The Big Bang Theory’s recent highs, but 20.8 million total viewers was still enough to top the TV Club Power Rankings for the week. The show nearly doubled its viewership from the previous Sunday (and gained a lot more points in the 18-49 demographic), but preliminary ratings for last night’s episode indicate that this was merely a blip on the radar. The early numbers are up from last Thursday, but hardly the type of world-conquering numbers the Tiffany Network was likely hoping for after the Super Bowl. (And in the demo, the show was beat by a bonkers installment of Scandal.) Welp, guess there’s something else you can blame on the blackout now. DEBUT: After its dismal return showing on Tuesday—which very nearly could’ve been shown up by the Community première—Smash ended up the lowest-ranked show on the Big Four this week. Only the existence of The CW (and a slightly charitable response from readers) kept the musical from being this week’s lowest-ranked network series—that ignoble distinction goes to Arrow, whose ratings in the key demo (a 1 for “Betrayal,” up from .9 for “Vertigo”) are starting to push their “good for The CW” qualifications. DECLINE: The Americans lost almost 40 percent of its première audience, but still ended up ranking among cable’s top offerings. It’s not going to be FX’s major challenge to The Walking Dead, but it could be another Justified for the network. “Kin” and “The Clock” drew comparable numbers this week and settled just inside and outside the TV Club Power Rankings Top 20, respectively.